Can one girl save the life of a king? Both Johnson is a talented and beautiful young actress. She is also a spy. The year is 1664, and somebody wants the King dead. One November morning, a mysterious ghost ship drifts up the Thames. Sent to investigate, fourteen-year-old Beth quickly finds herself embroiled in a dangerous adventure that takes her right into the Tower of London. Will Beth be able to unravel the plot to kill the King before it’s too late? 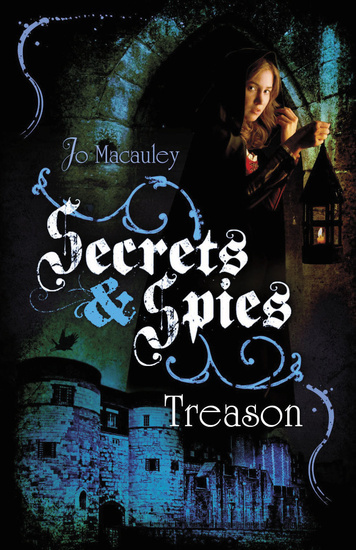 Treason is the first in the Secrets and Spies series by Jo Macauley and the first book I’ve received from Curious Fox Books, a relatively new imprint “for young readers of all ages”. They say that, “Inspired by the inquisitive nature of the fox, our books are designed to spark the curiosity of young minds and to encourage readers to seek out more great books as their love of reading grows. Each new book will open up a world of different characters and situations, taking readers on a roller-coaster ride of thrilling tales, exciting escapades, and dramatic endings.” Now, that sounds like a great mission statement to me! When Curious Fox invited me to look at some of the titles in their list, the Secrets and Spies series stood out to me for a number of reasons – it has a female lead character, a historical setting in a fascinating period of turmoil in London and I loved the idea of young spies too. I really enjoyed spending time with Beth on her adventure around Restoration London, from the pungent banks of the Thames to the Headquarters of His Majesty’s Navy, the Royal Theatre in Drury Lane to the dungeons of the Tower of London. 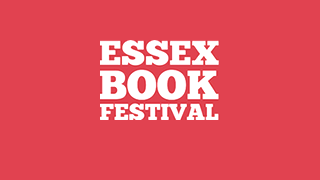 The story centres around a mysterious ship which appears unannounced on the Thames. Two young Naval clerks are sent to take a look whereupon one screams then disappears and the other is left unconscious, only to wake and discover the ship has disappeared again. It’s clear there’s something very fishy going on and Beth Johnson is enlisted to investigate further, in between rehearsals. I really enjoyed the dramatic, twisting and turning plot line of Treason; it’s a great thriller for younger readers, with engaging leads (Beth, and her helpers John and Ralph), a varied cast of supporting characters – a pub landlady, an American orange-seller who longs to find her lost father, a mysterious spymaster and even the famous herbalist Mr Culpeper – and creepy villains, particularly the grotesque Mr Groby. We’re not given a chance to pause, let alone get bored, as we romp from one exciting moment to the next, first with John and then with Beth. London is the backdrop for our rollercoaster ride and Jo Macauley recreates it for us in all five senses. I love books set in and around London and this was a real treat. I felt like I had been on a tour of the capital in the days of Charles II. We visit the Thames, powerful yet also disgusting and smelly. We go to the theatre in Drury Lane, experiencing the playhouse with all its colour, excitement, noise and variety. We even get a glimpse of the excitement of the huge public celebrations that used to be a regular occurrence, as the climax of the story takes place on November 5th, Guy Fawkes’ Night, where the ordinary people of London spill out onto the streets to revel together. I’m sure that younger readers, boys and girls alike, will love this exciting tale of mystery and betrayal. I’m looking forward to reading the next in the series, Plague.